Common ragweed (Ambrosia artemisiifolia) is considered as an invasive alien weed species. Based on the former field surveys, five million hectares, cca. 85% of the Hungarian agricultural area is endangered by ragweed; while around 0.7 million hectares are strongly infected. Cereal stubble is a major habitat of late-growing ragweed populations. Almost 60% of allergic patients (meaning 1.5-2 million people) suffer from ragweed pollen allergy in Hungary. Pollen concentration was measured in the air using Hirst-type pollen traps from year 2000 to 2016 at 19 monitoring stations in Hungary. A map of the crop types were created, using declared parcels of area based payments, validated by remote sensing data. Linear regression was applied to calculate relationship between seasonal pollen index and crop types at each monitoring stations. Our results showed that the land cover area of cereals, corn and sunflower showed positive correlation with ragweed pollen concentrations. This positive correlation had been changed in 2016 that is why we had started to analyse the changes of the system and their potential effects. Unexpectedly, the pollen concentration decreased rapidly in early September of 2016. No precipitation occurred at this time, i.e. reduction of pollen level could not be explained by the wash out of pollen grain from the air by raindrops. Among the possible reasons, the effect of the newly introduced greening obligations related to the area based direct payments (based on the EC regulation 1307/2013) was concerned. The new diversification requirement under the greening contains the possibility of planting catch crops between successive plantings of a main crops, that is why it have a direct effect on the arable stubble management. It is supposed that the late-growing ragweed populations may be suppressed by the catch crops. In order to perform effective ragweed eradication, further studies are needed to optimize agricultural technologies of stubble management. Organic agriculture finally renounces the use of herbicides. Taking into account the positive qualities of weeds, the aim is not to their complete elimination, but to reduce the available quantity, which is not harmful to yields. With these prerequisites weed control on the non-chemical way is becoming more important as a major place occupied the variety of crop rotation and other indirect ways to control the weeds. 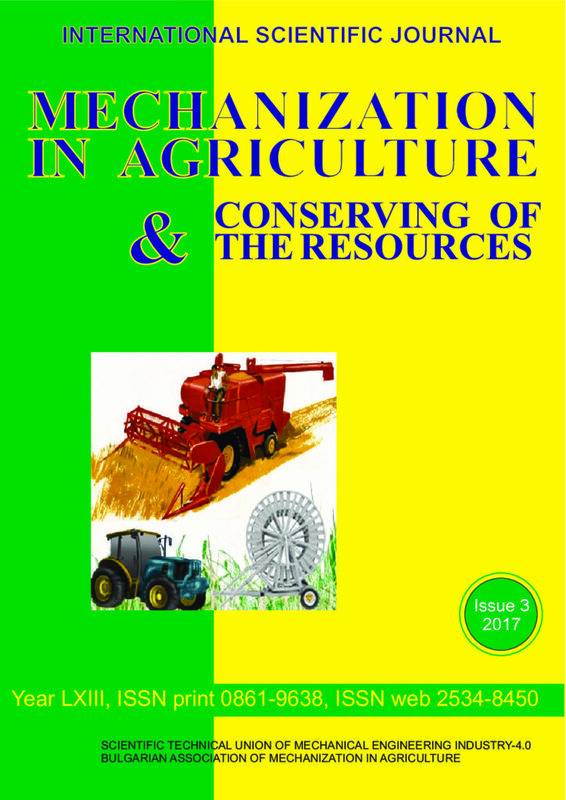 For their regulation by a non-chemical route in practice farmers use appropriate machines and devices and therefore pay particular attention to the mechanical implements, automatic systems and thermal control of weeds. In organic farms for vegetables use also cultivators with automatic diverting knives and cultivators with automatic rotating knives, controlled by video cameras and sensors. Robotic machines for weed control have also been developed in recent years, controlled by GPS agricultural navigation.